The owner of Bob’s Quality Market, at 2708 N. Florissant Ave., has reached an agreement to sell the store to Family Dollar. Alderwoman Tammika Hubbard opposes the discount chain's move into the neighborhood. That effort is opposed by 5th Ward Alderwoman Tammika Hubbard. The Family Dollar received a conditional use permit for the location more than a year ago. The company has an agreement to buy out the family-owned Bob’s Quality Market located at 2708 N. Florissant Ave. But the project was put on hold last year when Family Dollar merged with Dollar Tree. When the company sought to renew the permit last month, Alderwoman Hubbard filed a note of opposition. "This project will not be a positive impact to the community," Hubbard stated in the letter to the city’s zoning administrator. The discount chain sells a range of products including milk and eggs to personal items such as laundry detergent, toothpaste and some clothing. 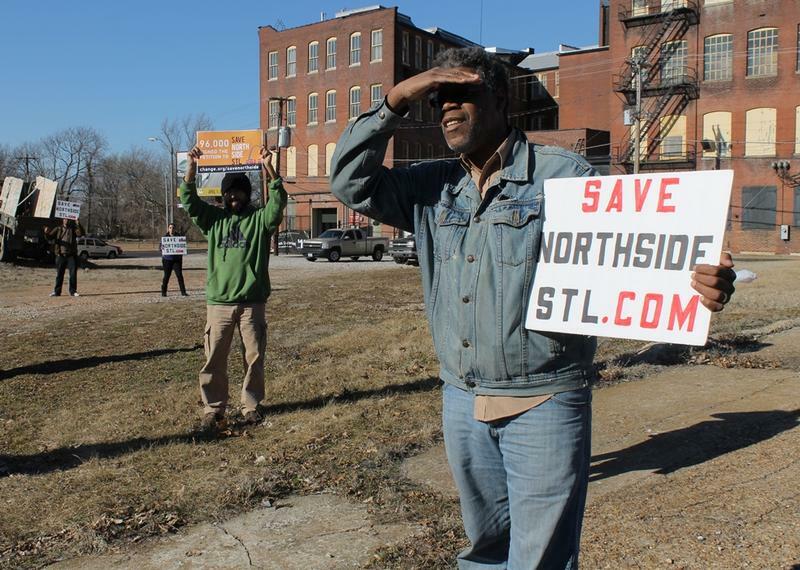 Residents in the St. Louis Place and Old North neighborhoods rallied and gathered more than 200 signatures in support of the store. Several attended a conditional use permit hearing last week at City Hall. "It would be nice to get diapers without having to go several miles away," Leah Lunsford testified at the hearing. Lunsford, her husband, and three children live in the neighborhood and are rehabbing a home just behind the store. She said you can see drug deals take place in front of the current business. "Dealers that line up before you go into the store will ask you, 'Hey, do you want to buy something?'" Lunsford said. The family sometimes finds needles on their property. 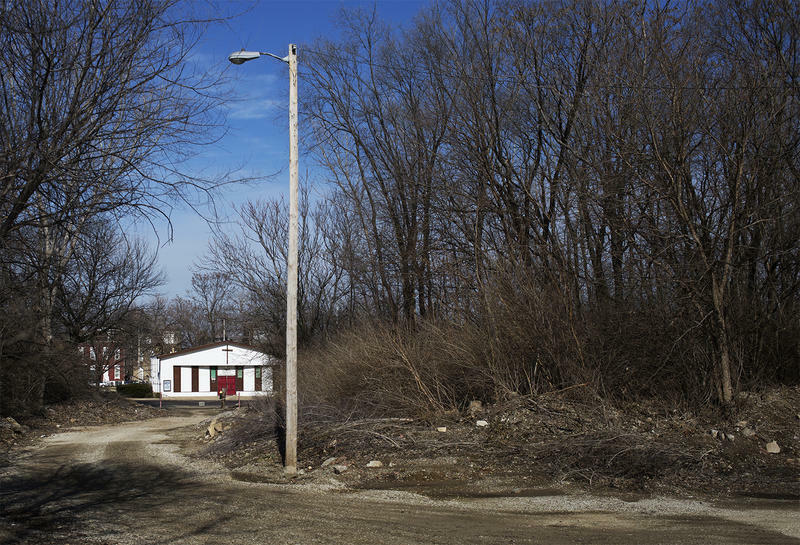 The St. Louis Metropolitan Police Department had reports of 21 calls for service from 2708 N. Florissant Ave. in the last six months. Two of those resulted in police reports. The Family Dollar would have surveillance cameras both inside and outside of the store, according to David Soto, a principal with Atwater Group. The development company is working with Family Dollar, and Soto testified at the hearing. He said the store would not sell alcohol. Other residents at the hearing questioned why the alderwoman would oppose a store the community desperately wants. Tom Bratkowski, who lives a few blocks away, said he was disappointed that Hubbard did not attend an open house held by Family Dollar or the hearing at City Hall. "The alderwoman doesn’t seem to be interested in our area, and so we have to take the initiative on our own and we feel this is the best solution for us," he said. Hubbard declined St. Louis Public Radio’s request for an interview. 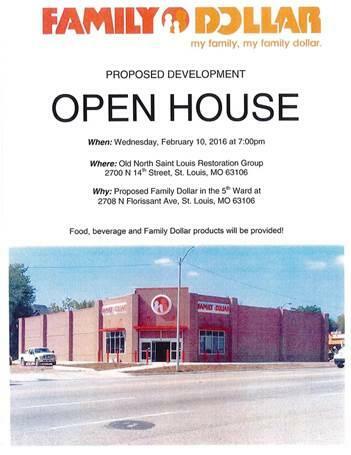 A flyer for an open house Family Dollar held earlier this month about its plans to open a store on North Florissant Avenue. Some attending the hearing wonder whether the alderwoman’s relationship with developer Paul McKee has led to her opposition for the store. Her brother, Rodney Hubbard, runs the nonprofit Carr Square Tenant Corporation, which owns a 2.5 percent stake in McKee’s Northside Regeneration. 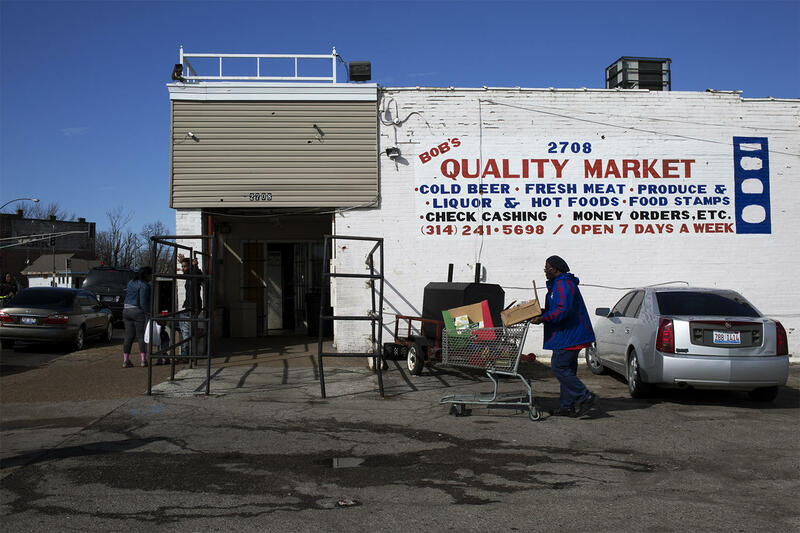 While the North Florissant location is not within Northside Regeneration’s massive project area, it’s just blocks from a site at North 13th Street and North Tucker Boulevard where the developer has long talked of putting a food market. Leah Lunsford said she never expected to have to fight for a Family Dollar. "It’s something that would really serve the community, and it’s sad that our alderwoman is letting politics or money or whatever her issue is get in the way of meeting needs of the community," she said. The city’s Board of Public Services is expected to make a decision on the conditional use permit sometime next month.